“You're checked all the way through to... some place I can't pronounce,” said the woman who was checking me in at my small local airport in Illinois. Novosibirsk. It is the third largest city in Russia, located in south-western Siberia. 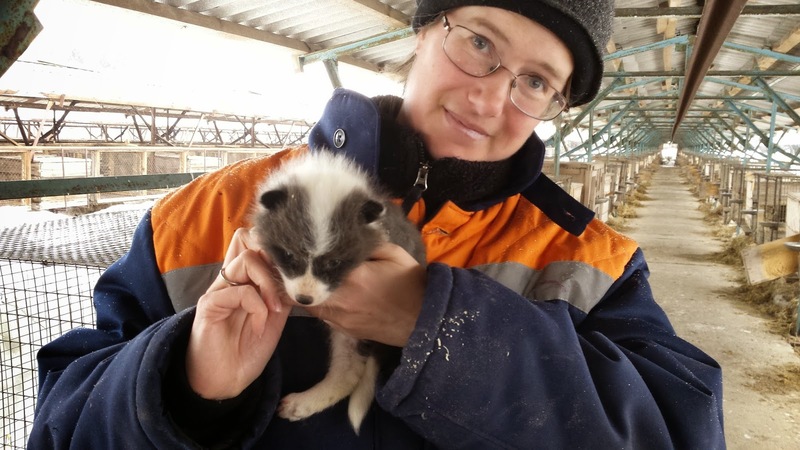 It is the location of the Novosibirsk State University, one of the best universities in Russia, where the Institute of Cytology and Genetics maintains Belyaev’s tame foxes. The Institute is actually in Academic City (Akademgorodok), a suburb of Novosibirsk. Academic City is an odd blend of the European — my hotel would not have been out of place in France — and the Russian, with its thick stands of birch and fir. During my early April visit, there was still three or four feet of packed snow on the ground, and mud season was commencing as the temperature rose. The Institute is in a green-roofed building shoulder-by-shoulder with other university institutes. The farm, where the foxes live, is a ten or fifteen minute drive out of the city. 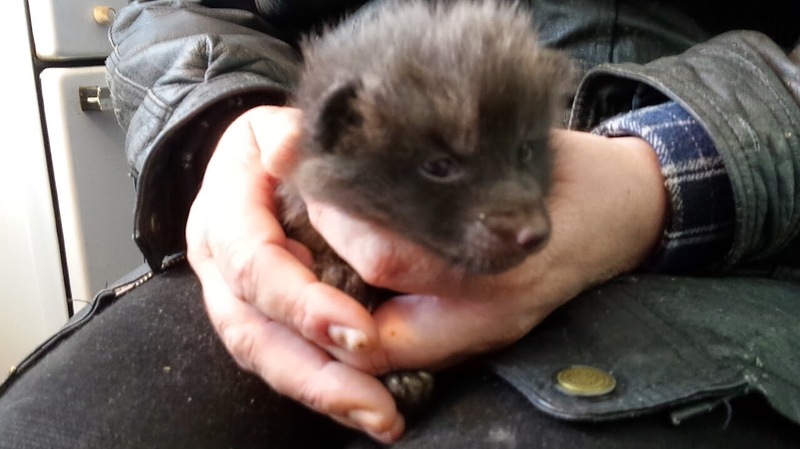 I went to the farm daily to study the socialization period in tame and aggressive fox kits. I was working with these kits at three weeks of age, before they were old enough to start venturing out of the nest and interacting with the world. At this point they shouldn’t yet have entered their socialization period. Yet you could already tell the difference between the tame kits and the aggressive kits. Kits within a group weren’t identical in behavior: some complained about being restrained, some yelled, some fell asleep, some were calm and silent. However, the aggressive foxes tended to make more noise, and the tame foxes tended to be more curious about their surroundings. Two aggressive fox kits tried to bite. One tame kit did. Other tame foxes could not contain their enthusiasm at having people to interact with. They rolled on their backs and made excited yipping noises and wagged their tails. In their joy, they would hold our hands gently in their mouths, something I saw again and again with them but that I have very rarely seen a dog do. 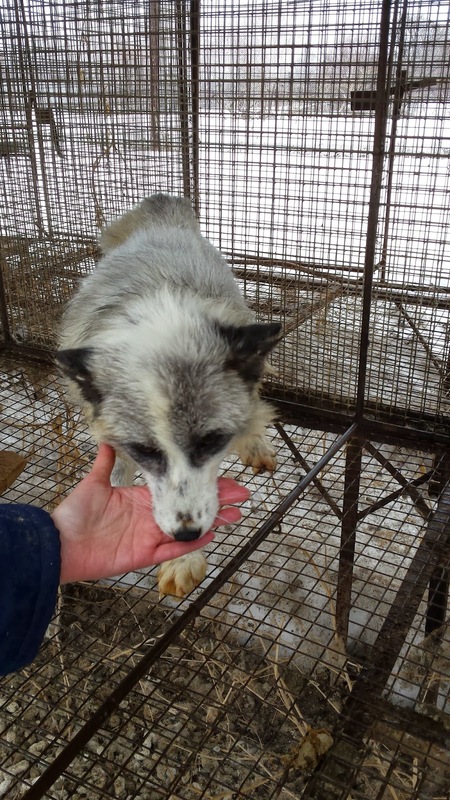 I visited foxes from the control line, who had not been bred for behavior. 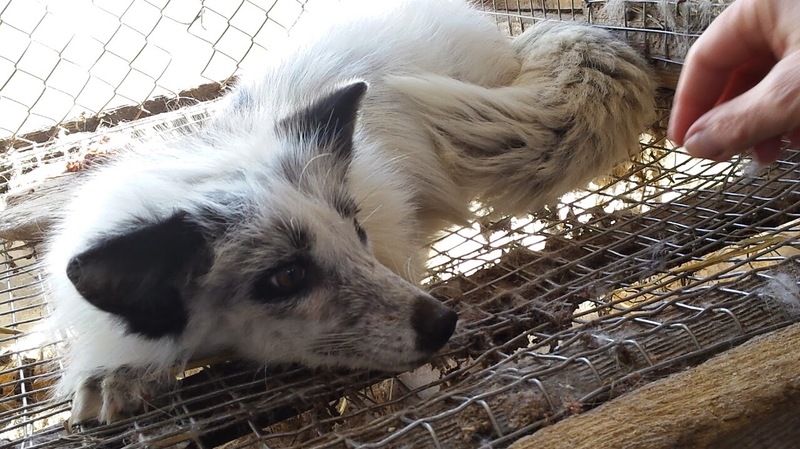 They were simply afraid of us: when their cage door was opened, they retreated. If cornered, they would bite, but any aggression they showed was entirely defensive. 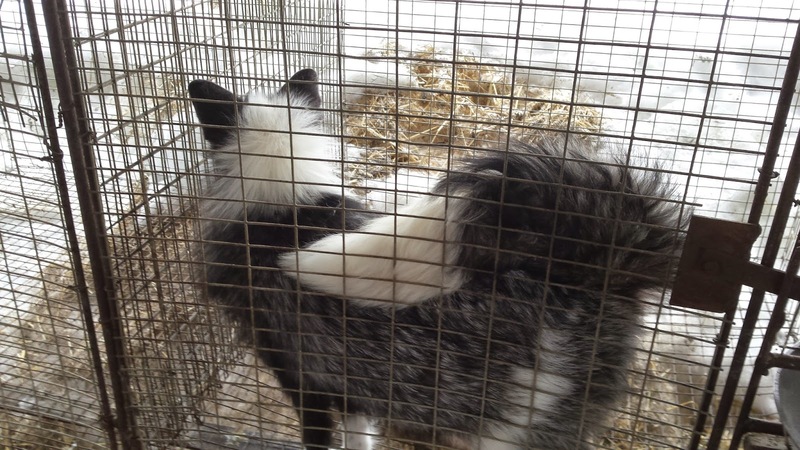 I also saw foxes from the line that has been selected for aggression to humans. Some of them were afraid and aggressed only defensively. Some were more scary, coming forward to the front of the cage to bite again and again. Certainly they were afraid of humans, but something in their brains or hormones makes them more proactive and less passive in their defensive aggression. Finally, I met rats and mink selected for tameness or aggression. The tame rat that I met was happy to be held and happy to interact with me, but I don’t have enough experience with pet rats to say if this was unusual. The aggressive rat that I met was terrifying, hurling herself at a gloved hand when her cage door was opened and screaming repeatedly, even after we backed off. 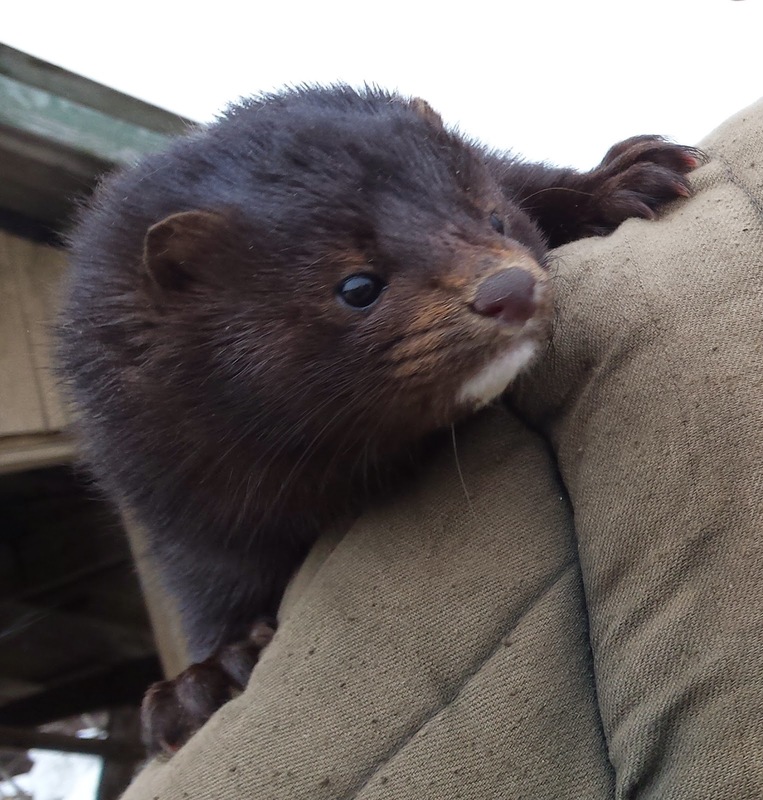 The tame mink were less curious than the tame foxes and didn’t seek interaction with humans in the same way. One let himself be held by his keeper but I wasn't allowed to touch him, in case he might try to bite. Notice the little white patch on his chin — more white coloration is associated with more tameness in both minks and foxes. 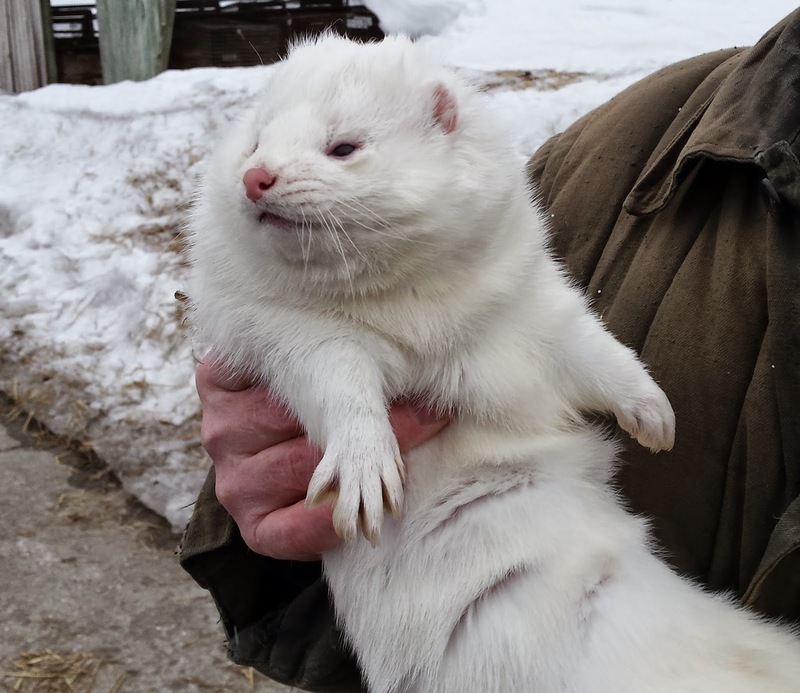 Another, all-white mink was tamer and I could pet him. He seemed deeply passive, not seeking interaction, just tolerating it. ...and my host kindly pointed out one fox with a gorgeous example of a curled tail. What an amazing week. I kept thinking: how strangely my life has turned out! This is very interesting. My Springer Spaniel loves to hold my hand with her mouth, gently. She often falls asleep in this manner. Our rescue dog, Mr Sykes, also likes to take hold when he greets you. Either a hand or wrist, again holds very gently, but seems to bring him comfort. He was found as a young stray, and spent at least 8 months in a rescue centre before coming to us. We think he's made up of Springer / Terrier / Collie / Basset. That is so cool! I've read about the fox study and I would love to see it in person! Great post! Ahh! I've never seen a picture of the curled tail, it's wonderful! A dog putting his mouth gently on your hand or arm is extremely common. Jessica Perry Hekman, DVM, PhD is fascinated by dog brains. She is a postdoctoral associate at the Broad Institute of MIT and Harvard, where she studies the genetics of dog behavior. 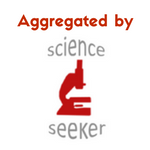 Her interests include the stress response in mammals, canine behavior, canine domestication, shelter medicine, animal welfare, and open access publishing. You may learn more about Jessica at www.dogzombie.com, or email her at jph at dogzombie dot com. All opinions expressed here are her own. Should dog training be 100% positive?